With thanks to Mira Ink/Harlequin TEEN for the review copy of this novel! As always, my reviews are non-bias and fair. Las Vegas, Sisters and an amazing synopsis and I was hooked. I mean, look at that gorgeous cover and I dare you not to want just a peak inside the pages, especially after reading that synopsis. I was so happy to get to read a copy thanks to Harlequin Teen and Mira Ink - I always seem to fall in love with all the books they publish so I was dying to read The Secret Diamond Sisters. 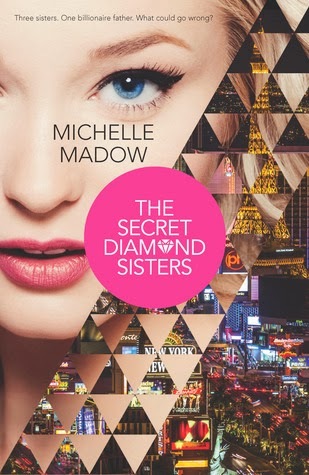 I have never read a book set in Las Vegas for the majority of the plot, but that's all about to change with The Secret Diamond Sisters, because I'll be returning happily with every new addition to this welcomed new series. I was hoping right from the start that there would be just more than one book because I just couldn't stop reading page after page with every exciting new turn. This is definitely a glamorous modern fairytale, where three sisters who had a rough start in life with their mother who a drinking problem, who get their lives turned around when she goes to rehab and they are shipped off to live with their father who they haven't the slightest idea who he is. But another bend in the roller-coaster sees him announced as Adrian Diamond - the billionaire hotel franchise owner. But not all fairy tales get a happy ending and they aren't all simple, and so things only get more interesting and additive from here for the fifteen, sixteen and seventeen year old sisters. Savannah, the youngest of the three sisters, was probably the most welcoming of the new lavish lifestyle. She was happy to have more money to spend on all the things she couldn't afford before, in her true free spirited way. She was a little naive in places in the new lifestyle in the Vegas lights, but nevertheless the most fun and charismatic sister. Courtney was the middle sister, but I was startled to find that she wasn't the oldest. She totally took control and was the peacemaker in the situations where responsibility was required. She was a bookworm, like me, and sensible, not to mention very driven and humble. I liked her the best out of the three sisters by far, possibly because I could connect with her in similar ways. Peyton is the oldest of the Diamond sisters and the one with the rebellious attitude to pretty much everything, although entertaining in that very same way. She really didn't like her father and pretty much rejected everything like the credit cards that he gave the sisters, which she prompted to throw in the trash. But I understood her hostility, because being the oldest, she had been through more than the other sisters and that way, I could see why she had an attitude to most things. I'm not sure how I felt about Adrian Diamond, because I was influenced by so many different ways of thinking of him by each sister, so I guess I'm pretty much torn in each direction. Then there's Rebecca (name twin! ), who is Adrian's fiancee, Madison, Damien, Brett...and so many other characters with mixed feelings about. They all had less frequent roles compared to the sisters so it's hard to pinpoint how I felt about each one, but again, each was engrossing in their own ways, whether fueled by hate or love for them. Compelling, magnetic and enchanting, The Secret Diamond Sisters is a story I'll never forget. 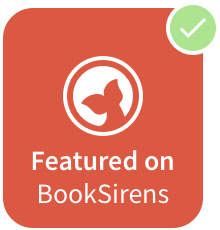 It could be compared to the likes of Pretty Little Liars and Gossip Girl, but it's in a total world of it's own - unlike anything before it. I'm hugely anticipating the next in the series and I can't wait to read more of the alluring and dazzling writing styles of Michelle Madow. Have you read The Secret Diamond Sisters?